We have been back in England for a week when we set of on our first narrowboat hunt. On the eve of the shopping trip we studied the shortlist of the 50 or so available boats that I had compiled, rating them for suitability, out of five, to work out which boat we should prioritise seeing, and which geographical area to start in. 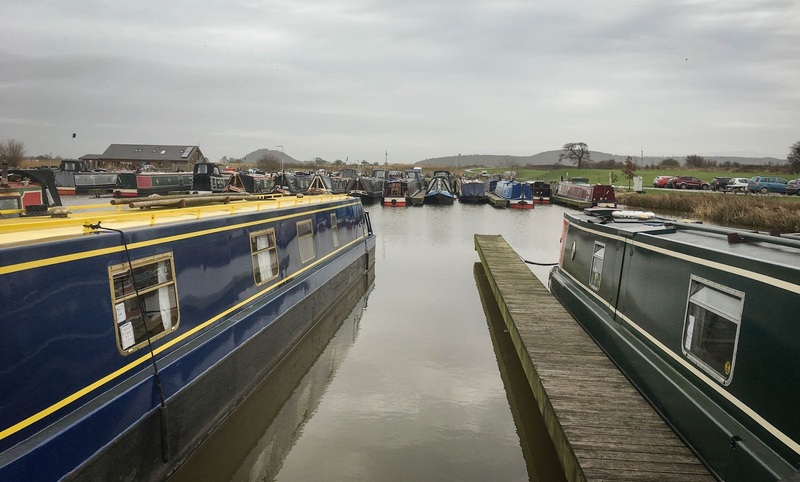 The potential boats were were spread across the country, from London to Cheshire and up to Yorkshire; we were planning to spend two days visiting the brokerages and wanted to make the most of our time. In hindsight, when narrowing down the shortlist, we were too preoccupied with the furnishings and aesthetics, and completely overlooked some , of what turns out to be, our fundamental requirements. The shortlisting was fairly stressful, as all the boats in our price range seemed older, scruffier and more expensive than we thought they should have been, making us worry that prices were rising wondering and if, in fact, there is a boat out there for us that we could afford. On day one of the boat search we were up at 5am, and on the road heading north before 6am. It didn’t get light till 8, and Michael made the most of the push north to get some extra sleep. We managed to avoid most of the Monday morning commuter traffic, and pulled into the first marina just south of Derby in time for the 9am opening. One of the reasons we chose to come to this marina first was because our favourite boat, on paper, was here. As soon as we set foot on her, we were really disappointed, our best prospect was a definite ‘no way’; for starters it was a self fit-out and, and as a result, the layout felt awkward and the rooms just didn’t seem to flow into one another well. The finish was OK, but not great, Michael bumped his leg getting through the stern entrance, but the biggest issue was that, once inside, he couldn’t stand up straight. We aren’t about to move into a dwelling where Michael would spend the majority of his time hunched over. The whole boat felt smaller than its 57 feet, and, despite the bright white walls, it felt confined and restricted. The next boat wasn’t much better. Michael’s head hit the ceiling in this one too, and so we had to rule it out before even taking any other factors into consideration. The one ray of sunshine at this marina on this wet grey Monday morning was the guy showing us the boats. He was clearly a boat lover, and appeared to own three himself; he was full of reassurances and advice. He told us we were not going to find the right boat straight away, we should see as many as possible of all prices and layouts, and most importantly there would be plenty of boats tall enough for Michael’s 6’2” frame. To prove his point he showed us two more boats, both out of our price range, and neither the right length, but it made us feel better nevertheless to actually stand on a boat that we could envision living on. It was also so nice to witness his enthusiasm for narrow-boating, and we were thankful for meeting someone so helpful and friendly. Next we headed west and north, into Stratford, then Stone, then Stoke and on and off of many, many more boats. With each new viewing came further clarity on what our requirements actually were, and what features were just nice to have and what was actually a necessity. As well as no two boats being the same we were also finding out that each brokerage is very different, and because of these difference, we starting to realise that there are some that we really don’t want buy from. Eventually we come across the first boat that is the first serious contender. Its early afternoon and the rain is coming down hard, and we are greeted with the news that the boat that we want to see is out of the water on ‘chocks’ and that we will need to clime a wet slippery, ladder to get into the bow. We quickly sign our lives away on the disclaimer, then it’s umbrellas up and out into the downpour. Once inside the boat we worry how we are going to get off again, but all worries of breaking our legs or our necks getting back down are temporally set aside as we explore the boat. First impressions are good, this boat ticks a lot of boxes. On the plus side, it is set up for continuous cruising, it has a large inverter and huge bank of batteries, there is a washing machine, and there is a back cabin, which would be great as a separate work space for one of us, and on top of all that it was reasonably priced. Strangely it also has two Morso Squirrel stoves, this seems like a bit over the top, even for me who feels the cold in 30 degree heat. Negatives; it is slightly older than we were hoping for, and as a semi-trad, there was no real room to store a motor bike. Also, they forgot to empty the toilet tank before the pulled the boat out of the water and therefore there was a appalling smell coming from one of the cupboards. Back in the car - feeling more positive - further north to the Cheshire ring and a cluster of brokerages. More boats, more conversations, and yet further clarity on what works and what doesn’t work for us. Top priorities now are a good head height so Michael can stand up straight as he walks through the boat, and a decent entrance for the stern (i.e. a staircase that runs straight down from the hatch into the boat and not a entrance that twists to one side). Michael is also talking more about the option of having a motorbike on the boat, which means either a cruiser stern or a tug front, or devising some kind of bracket that can be welded to the back of the boat. The last three boats that we saw were at a brokerage that we weren’t even going to visit on this trip, as we hadn’t liked their avaliable boats when we viewed them online. In reality, these were good solid ex-hire boats and while none of them were the boat for us, it clarified for us, that we would rather have a boat with a professional fit even with slightly the wrong configuration, than a boat with a more suitable layout that had been fitted out by someone with limited carpentry skills. Day two starts with one last brokerage in Cheshire and a new top contender. Annabelle II had been a syndicate boat for the last 20 years, shared by 12 owners. She was a little bruised and battered on the outside, painted in blue and a questionable acid yellow, but she had bags and bags of character. She was so well fitted out and maintained that she had withstood the rotating residents, and she seemed to be priced really well. We stood on this boat for ages, feeling quite at home as the light poured through the front doors and windows. Negatives for this boat; well there was only just enough head hight for Michael, he could stand up straight but wouldn’t be able to walk with any bounce in his step. Also as the boat was delivered to the marina her engine gave out for good, and so she would need a replacement fitting before she could even be sold. Feeling pretty positive about Annabelle II, we then agreed to see another boat an hour away; this boat was only 9 months old, her owners had quickly decided that boat life was not for them, an expensive realisation, I am guessing. This boat was over our budget, but we decided to look anyway to see what we could get for a bit more money. The answer was not a lot; there were some nice features, such as a huge Houdini hatch, and the head height was very generous, but despite being a ‘professional’ fit out, it just didn’t appear to have the same quality of workmanship as Annabelle II, as he ceiling was bowing already and there were lots of poor joints. It just didn’t feel like good value so we made our excuses and headed further south towards home. Last on the agenda for this trip was Griffin, she wasn’t with a brokerage and we had arranged to meet the owners just north of Birmingham. As we pulled into the gravel carpark that we had been directed to they arrived to greet us. We had wanted to see Griffin as she had been commissioned by the owners, who had been using her to continuously cruise for 16 years. We therefore thought she would be set up perfectly for our needs. And she was; she was a really stunning boat, inside and out, the only drawback being that it was hard to see in detail inside, as she was so dark, only having very small port hols all the way along and one hatch. The carpentry was magnificent, she had a fantastic solid wood stove, a great extra bedroom and office office, but we wondered if we could live in such a very dark environment. I guess the plus side of that is that she is so secure, no one being able to break in through the steel and tiny windows, and no one could peer in, but we really wanted to be able to peer out. The owners were so lovely, and offered to takes us for a 30 minute ride up the canal. Michael was almost giddy by the end of it, having taken the tiller to see how she handled. 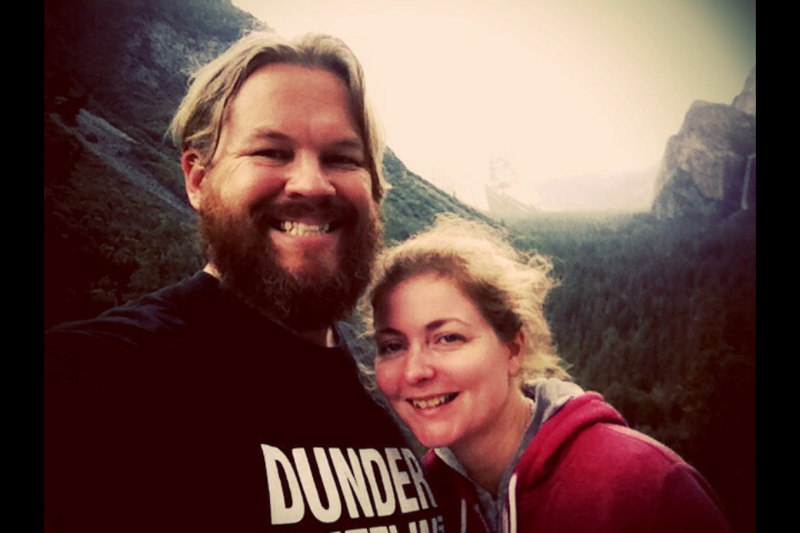 Griffin would have been a sensible choice for us in many ways, but the more we considered it the more we worried that we would have always regret having to live in such a dark environment.